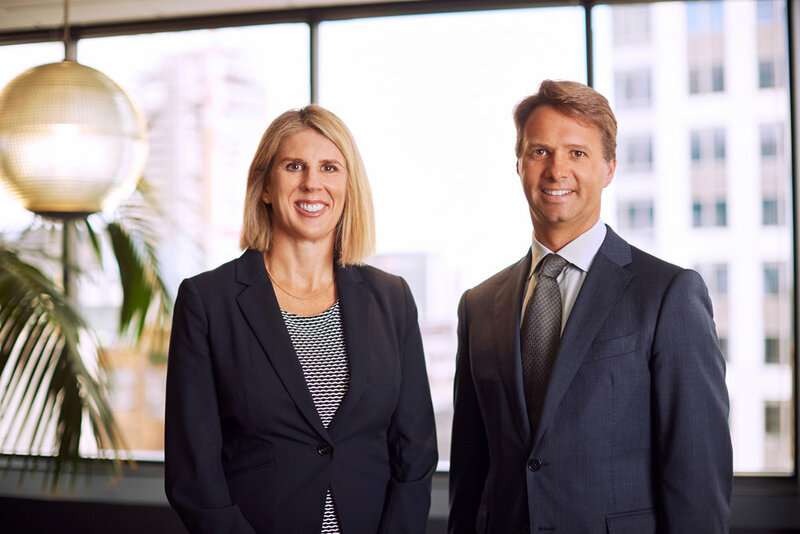 Fee Langstone is pleased to announce the appointment of Russell Stewart and Virginia Wethey as partners, effective 1 February 2019. Russell joined Fee Langstone’s predecessor (Jones Fee) in 2010, having practiced in Sydney for ten years. Prior to moving to Sydney, he practiced at a large commercial law firm in Auckland. Russell has represented clients in the legal, financial, accounting, auditing, mining, chemical, forestry, and property industries. He has extensive experience in professional indemnity claims and in conducting complex, high value commercial litigation, including representing a defendant in the Feltex litigation. He also has particular expertise in acting for the insurers of chartered accountants and auditors defending civil claims and disciplinary complaints. Virginia first joined the partners of Fee Langstone at Jones Fee as a graduate in 1999. After two years, she set off for London where she spent nearly a decade practicing at two leading insurance law firms, primarily specialising in professional indemnity claims. Virginia rejoined Jones Fee (now Fee Langstone) in 2011. Her expertise includes liability claims (particularly professional indemnity), fire and general insurance (including earthquake claims) and policy coverage.